Throughout the year, in addition to the scholars we bring in through our competitively awarded external grants and fellowships, the Medieval Institute also regularly hosts visiting researchers from around the world. Scholarly research is a key enterprise at the Medieval Institute and its library collection provides an unequaled resource essential to the study of the Middle Ages. Today, the Medieval Institute Library houses nearly 30,000 books across six reference collections in its five dedicated reading rooms and over 60,000 additional, circulating volumes located in the Medieval Institute General Collection. One of our recent research visitors is Miguel Brugarolas Brufau, profesor adjunto in the department of Systematic Theology at the Universidad de Navarra, Spain. He is the author of two books, El Espíritu Santo: de la divinidad a la procesión. El desarrollo pneumatológico en los escritos dogmáticos de los tres grandes capadocios (2012) and Misterio de Dios (2016), and has also coedited the Diccionario de Teología (2014). Fr. 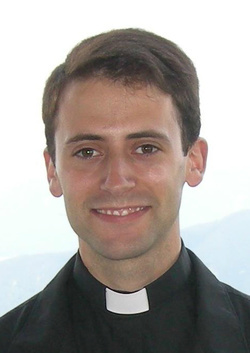 Brugarolas has spent several summers researching at Medieval Institute, working most recently on Gregory of Nyssa’s theology of the Logos and the connection between the Trinity, Christology, and Creation. As part of that work, he has edited two volumes for Brill Publishing, released this year, and has published two of his own studies therein. 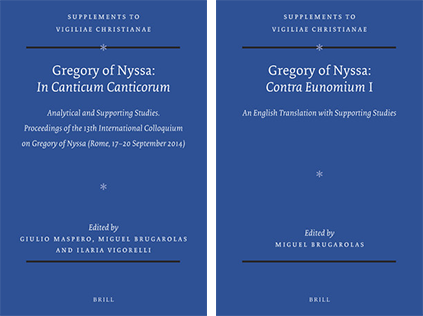 Further information on both volumes can be found on the publisher’s website. Originally published by Spencer T. B. Hunt at medieval.nd.edu on November 07, 2018.